Please join us on Saturday, September 9, 2017 for the Carnegie Center’s next installment of our popular and free, Family Fun Workshop. 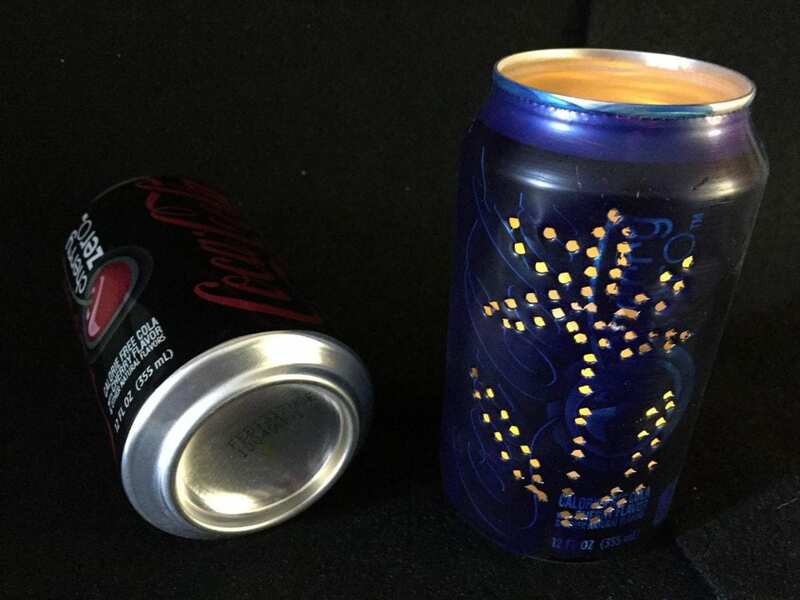 This month’s project is creating a luminary or lantern from an ordinary aluminum can. The Carnegie Center will supply all the materials and know how to successfully make this project. Punching holes in tin has been a time-honored craft dating back hundreds of years. Now we are bringing it back! We have a special and safe tool for punching holes in the cans. The more holes that are created, the more light will shine through. Afterward, the luminary can be painted. The addition of a heavy wire can be used to turn your luminary into a lantern. A battery-powered tea light provides a light source revealing the designs punched through the metal. Our Family Fun Workshop is free to the public, however, registration is requested. This is to insure that enough supplies are on hand for everybody. To register, please email Delesha Thomas at dthomas@carnegiecenter.org or by calling us at (812) 944-7336. Activity is best for kids ranging in age from 2 to 12 years of age. Please arrive by 11:30 AM to have enough time to complete this project. Children must be accompanied by a parent or caregiver at all times while in our building. We hope to see many of you on Saturday, September 9!